I am not a huge reader, however there are certain books I will always make time for, novelty books. Anything from 101 hangover recipes to Mr Greedy eats clean to get lean, yes that is a real book. 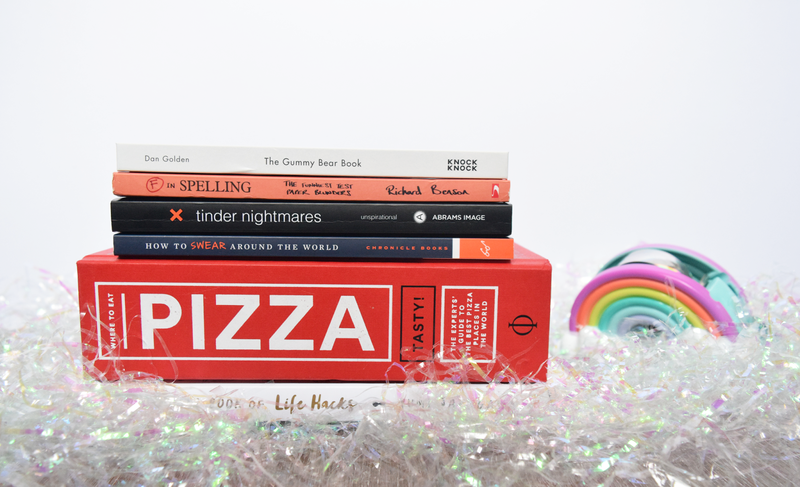 Today I thought I'd bring you a post on my favourite novelty books, and even give you some Christmas inspiration for loved ones or just treat yourself, you're worth it! These books can be bought from pretty much everywhere and anywhere and range from £5.99 to £14.95. Hopefully you enjoy this post and I'd love to know in comments what your favourite novelty book is. 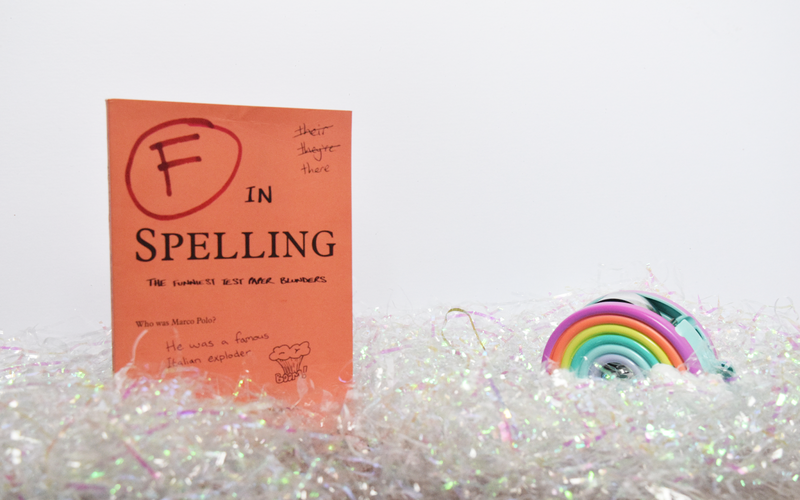 When I saw this on the Urban Outfitters website I knew I had to have it, in short this book is filled with gummy bears doing stuff, like a mosh pit and the conga. It's a great book for those days when you need a little bit of cheering up. Easy to read through, colourful and lots of fun. Credit to Dan Golden for creating this book. 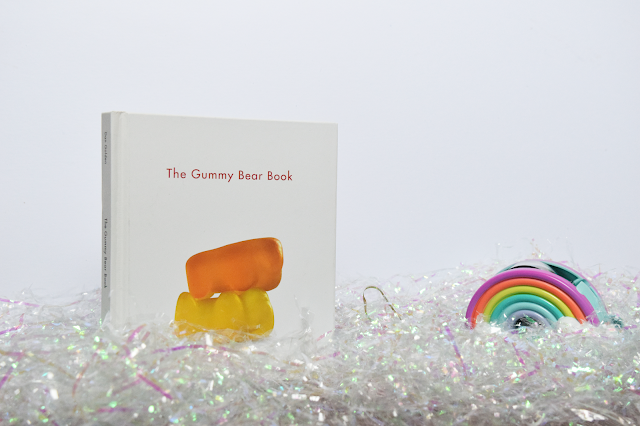 Would recommend to anyone with a childish sense of humour or who just loves gummy bears. I was drawn into this book from the minute I saw it's cover, it's so pretty and girly. I am a huge fan of life hacks, anything to make something easier right? 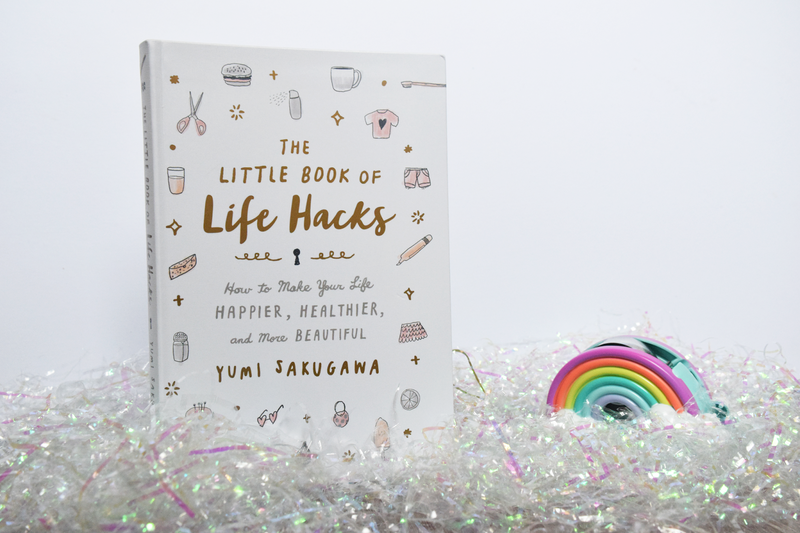 It contains pretty much everything from how to cook vegetables to how to shift a bad mood. The book is filled with lovely illustrations, and these make the book even more appealing to me. 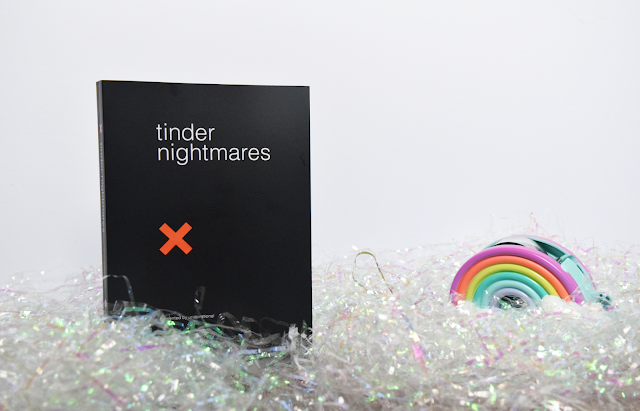 199 pages of goodness awaits you. You can purchase this from the Urban Outfitters website. If you follow me on social media, you will know I am the biggest pizza fiend. 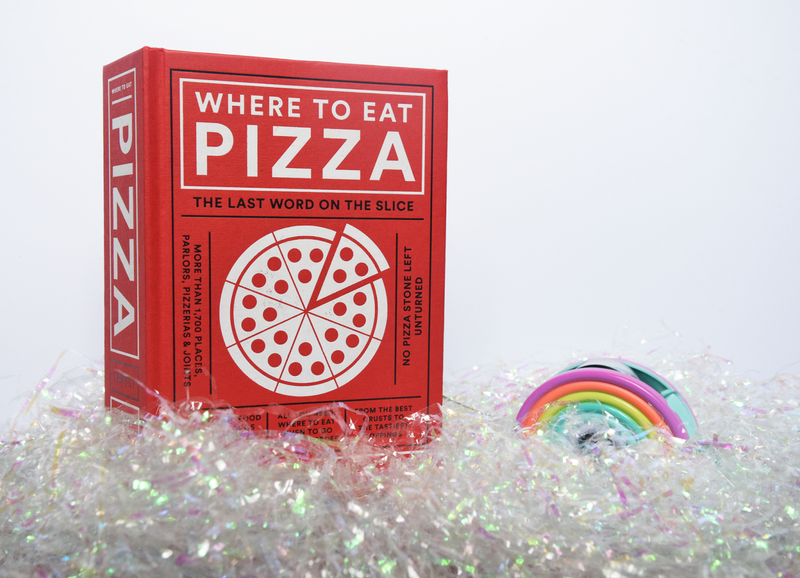 So this book seemed like an obvious choice, each page filled with recommendations of where to eat pizza around the world, telling you when they're open, what they sell and their best offerings. This is the perfect book for someone who is going travelling soon to have a snoop of before they go to get some ideas down. Also if you travel around the UK a lot, you'll find some of these places on your travels. Available from Amazon. What happened at the birth of Buddha? Honestly so many funny examples in the book and well worth picking up next time you fancy a bit more of a funny book. Available to purchase from Amazon. This book is a stroke of pure genius and not something I'd recommend taking travelling with you. 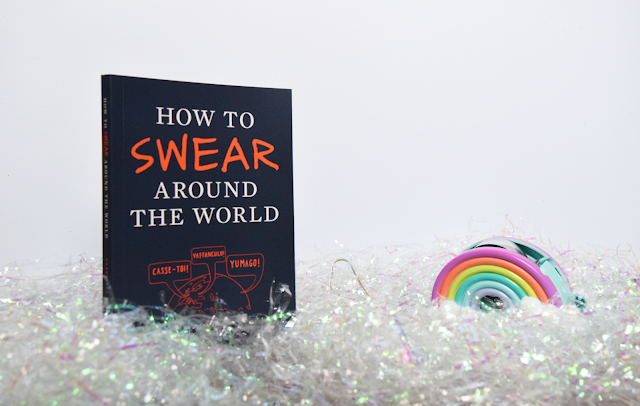 The book is full of the many ways to swear and say rude things in other languages. I remember everyone in year 10 at school looking up swear words in the French dictionary to call each other, I would recommend using it in this way. OR to your friends in other countries who will understand the joke but find it funny as opposed to offensive. Well worth it for learning the language of a country you are visiting as you can find out what they're saying to you if they are rude! This book is from Firebox. Would you buy any of these books? I don't know about you, but Christmas is one of my favourite times of year. 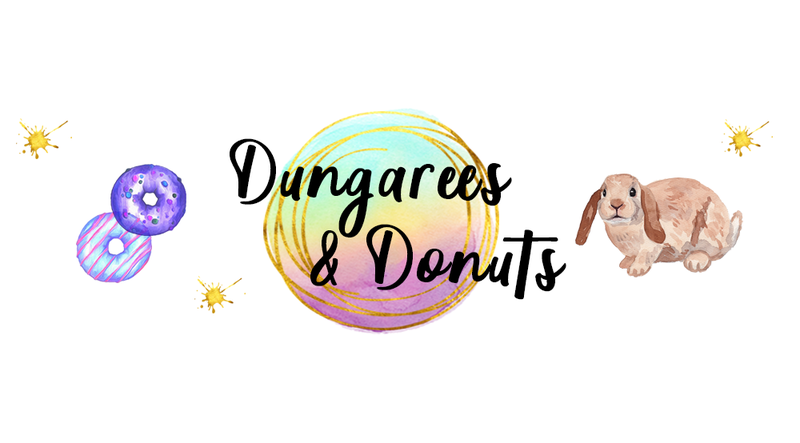 It's also one of the times I get to get most creative with my blog along with Halloween. One of my favourites parts is buying props to use in my photos. I've seen a few people ask on Twitter over the last few days where to purchase them so decided to share my knowledge with you. I do not spend a lot of money on my props as I know they will only be used for a month or so each year. However, it's surprising how much you can get for a little amount. 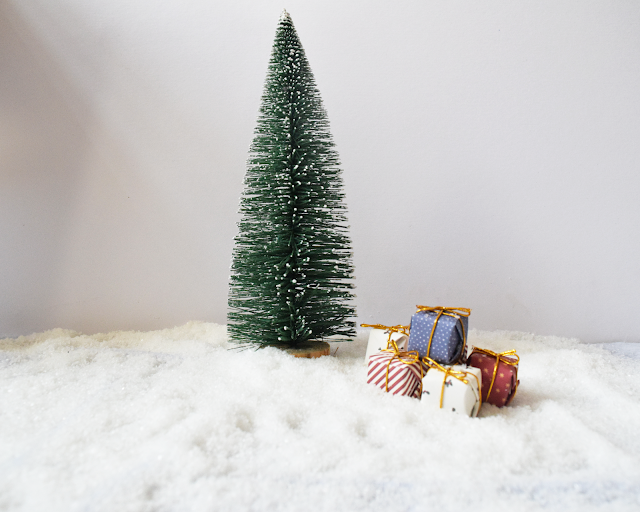 A bit of an obvious one here, however, Hobbycraft do have some great props for Christmas, including the cute little tree featured in most of my upcoming Christmas posts. I went in the store to get my items, however, you can get some great stuff online. The best stuff is under the home decor section. I also purchased some fake snow. However since I purchased those items I've found many more I want to purchase, including these mini bells and adorable washi tapes. The range is my go-to for craft stuff since one opened in my town and despite their annoying advert, I still love em. 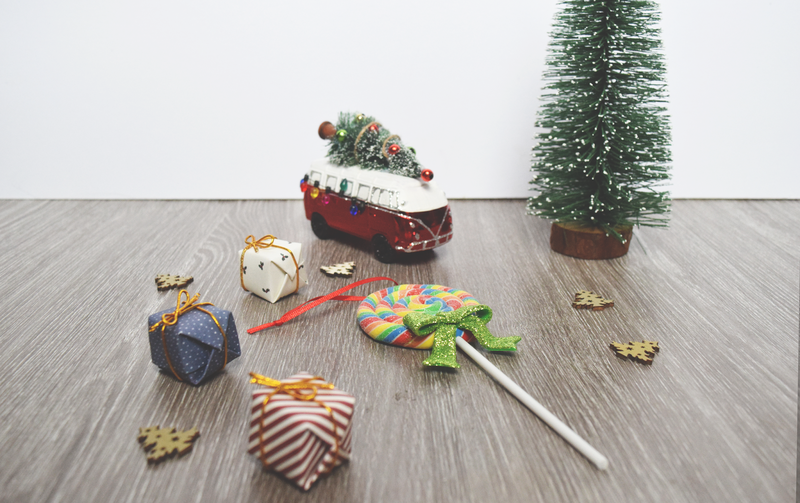 I purchased a lot of my Christmas props from the The Range and I still love them so much now, including some little wreaths and gingerbread men. A few of my favourite picks this year are these lovely berry picks, wooden tree shapes and this berries and pinecone topper. I would say it's worth going into a store with The Range as there is a large variety of choice. eBay is one of the places to buy the cheapest props and also basically anything you can think of. Once I got the ball rolling it was so much easier. 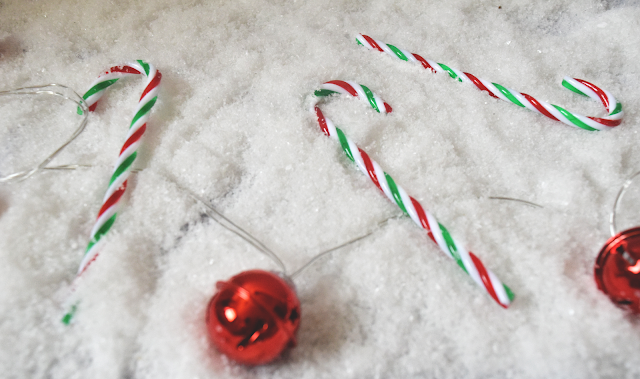 Some of my top picks this year are plastic candy canes, mini presents featured above, tiny fairy lights and these snowflakes. I'd say just reach random Christmas words which pop into your head and you'll find something you love. Poundland can be a little bit hit and miss in their Christmas decorations section, however this year they're rocking it. I usually purchase my Christmas lights from there to decorate my house, I mean come on a pound for a set of lights is a bargain. They have a HUGE variety of them, including the bell ones featured, a variety of colours and tons of other cool stuff. Would also recommend buying your tinsel from them! Asda is one of the best places to get tree decorations from, especially stand out ones which are cheap. I'd recommend checking out their gingerbread house decoration as well as this adorable robin ornament and if you're really pushing the boat out this glitter stag is beautiful and great for room decoration too. Asda have a huge variety of items that can used as props and perfect for getting your Christmas style just right. Where do you buy props from? Christmas is fast approaching and I am surprisingly organised for once. I started buying Christmas presents in October (which is a fabulous idea, by the way). Although it feels a little early, I do not deal well with stress and busy shops, therefore I wanted to get it out of the way early. 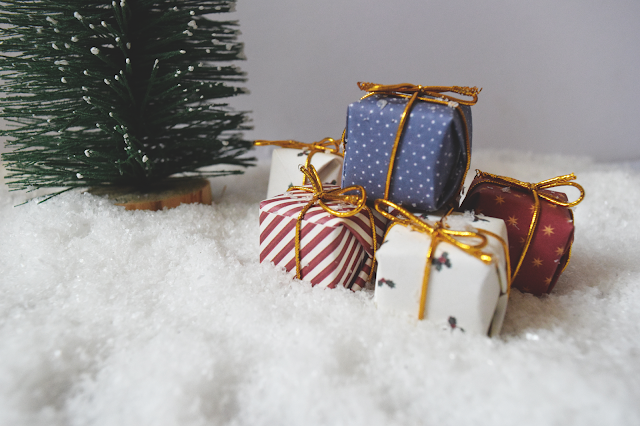 Although to avoid shops I do also purchase a lot of gifts online, plus you can usually get so much more choice. I was recently contacted by the lovely people at Amara and asked if I wanted to feature some items as part of a gift guide and I was thrilled. For those of you who don't know about Amara, they are a luxury gifts and homeware store and they have so many fabulous pieces on their website I didn't even know where to start. So I am a massive girly girl at heart, so I decided my gift guide needed to feature a lot of cute items as well some kitchen items as they're also up my alley at the moment. 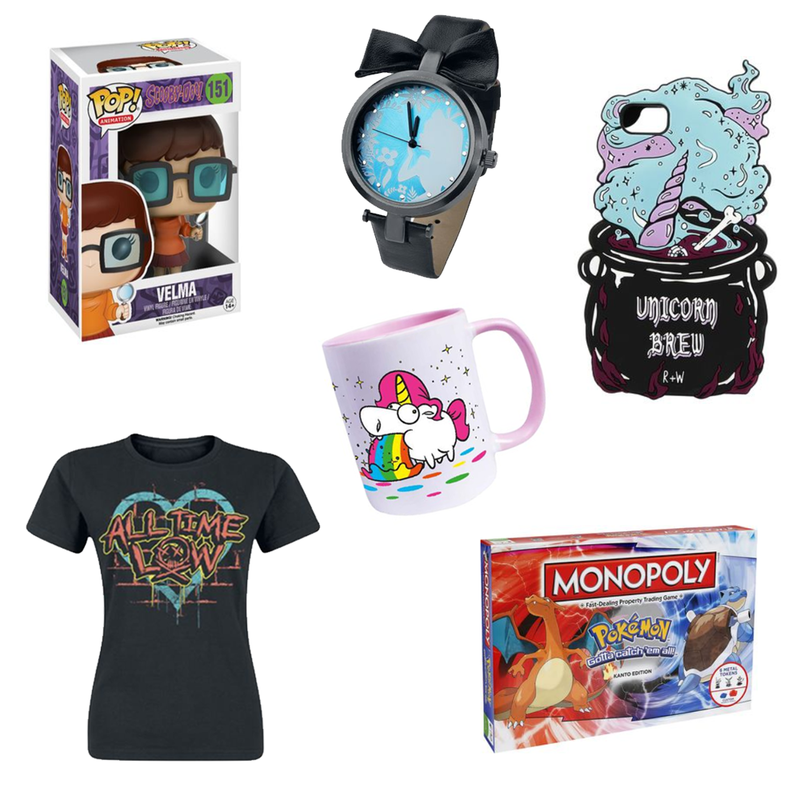 I hope you enjoy this gift guide and let me know your favourite item in the comments below! I found this beautiful set and fell in love instantly, it looks elegant and perfect for decoration and also those flatlays (you know what I mean bloggers!) or you know, just drinking out of? Due to me being one of the most clumsy people around, I think I'll use mine for decorative purposes. 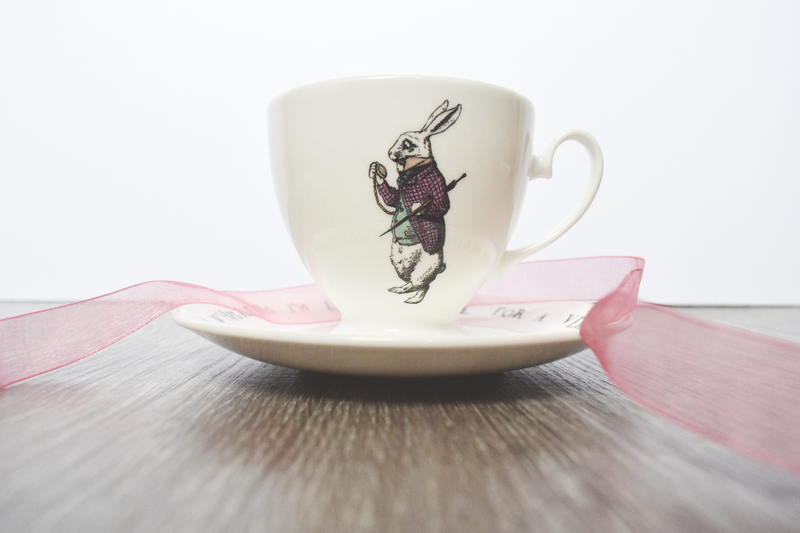 The cup has a lot of lovely beautiful detail on the rabbit as well as the clock within and the plate is just something else, it has lovely Alice In Wonderland quotes written on it which made it that little bit more special. Perfect for any Alice In Wonderland fans out there! 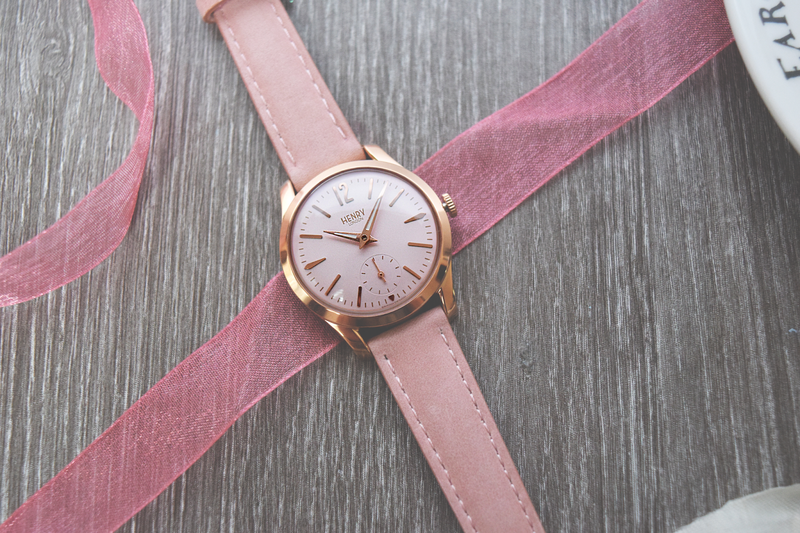 Henry London Shoreditch pink leather watch- £115. I have only ever owned one other watch in my life and that was my Michael Kors one for my 21st birthday, however lovely the watch is. It's got a pretty large face on and it's heavy, especially working at a job where I type all day, my arm aches. 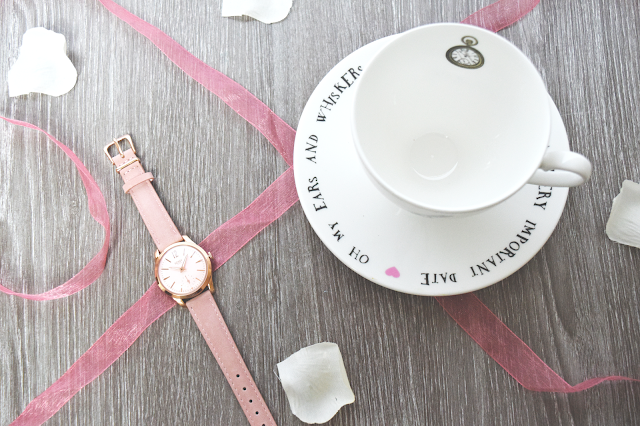 I love this watch from Henry London as it's lightweight, pretty and is easier to wear with multiple outfits. I love the pale pink colour and this would be a perfect gift for anyone really. I saw this ultimate chef gift set for £45 and for the cost of all of these products individually and how lovely the gift looks as a whole, I was drawn to it. I am a huge fan of the Listography books, and this just made the set for me. 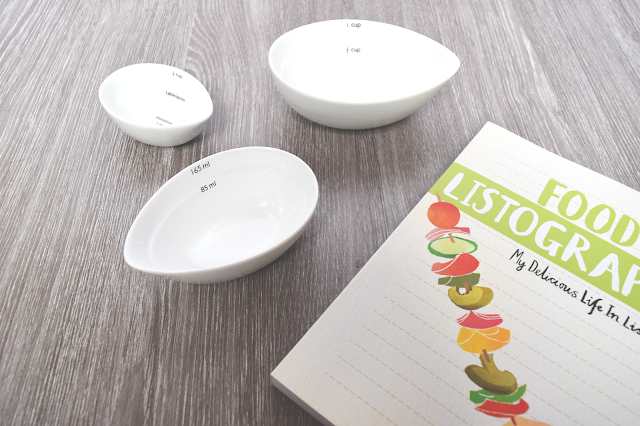 As well as the book the set contains measuring cups, a spiralizer, knife sharpener and a pestle and mortar. This gift is great for any budding chefs your life, or just a someone who enjoys cooking. Plus the presentation of this gift box is so lovely. This candle has to one of the prettiest candles I have ever seen, being online buying candles for yourself can be a challenge let alone anyone else. However Amara have this great feature where you can shop by scent helping you by letting you chose by category and then the way in which I did it was chose one of the popular ones from that category as helps me see what other candles people are enjoying. 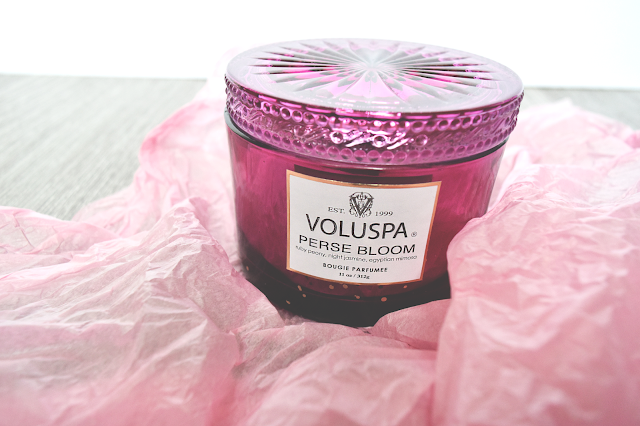 This particular candle, will last for many hours and perfect for any candle lovers in your life. I am honestly in love with Amara for having a Kitschmas section, it is honestly everything I've wanted my Christmas tree to be! 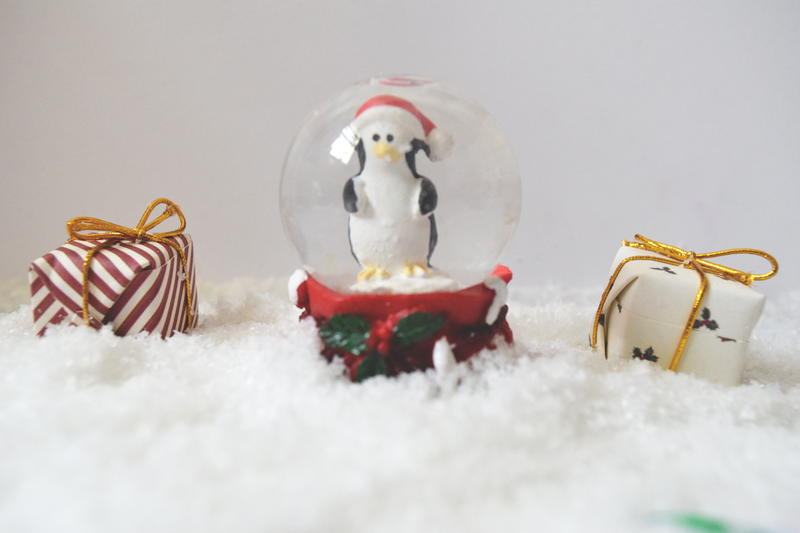 They have the biggest selection of cute baubles including those featured above. 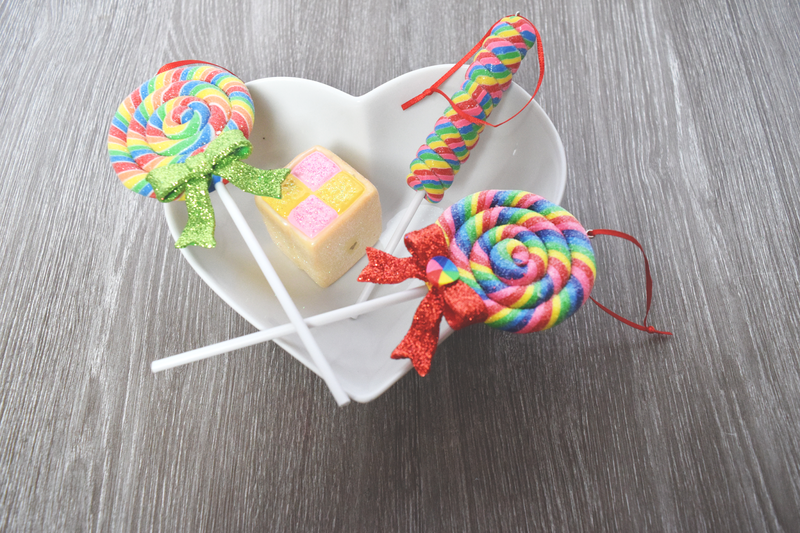 The Battenberg bauble is £20.00 and the lollipops are a set and also cost £20. So much fun and colour and great for your Christmas tree, I will also be doing a full bauble wishlist soon. I've been eyeing these up for a while now, but the price tag has put me off a little. However it's so much better for the environment than plastic bottles. Plus this isn't just an ordinary bottle, it can keep cold liquids cold for 24 hours and hot liquids warm for 12, which is pretty amazing. Perfect for a camping trip or a long walk. As well as those who like to take hot drinks to work, like me! 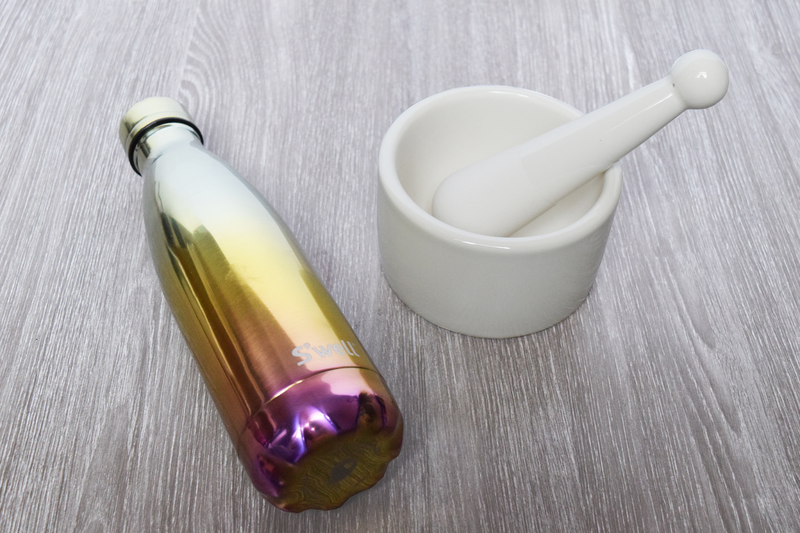 The S'well bottles come in so many amazing shades and colours, so one for every personality! Side note- the pestle and mortar in the last picture is from the cooks gift set featured above. This year I have become the biggest fan of face masks and candles, and I am forever trying out new ones. Go into any shop that sells either and I spend forever and day looking at the different options. 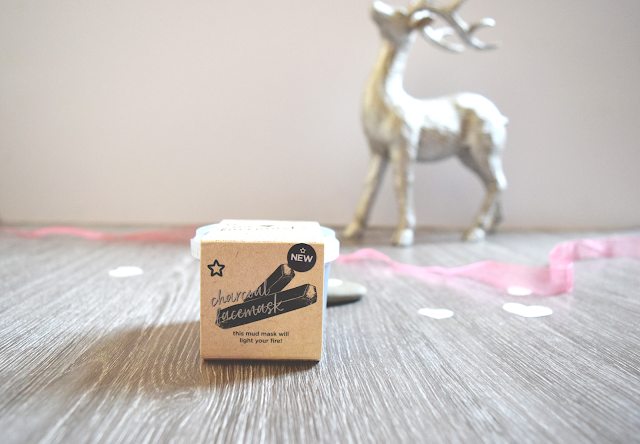 I was recently sent some of the new We heart face masks from Superdrug and I fell in love with everything from the beautiful packaging to the fact they are cruelty free and vegan! The concept behind these face masks is inspired by super foods and kitchen favourites. There are six in total and today I have review on the blog for you of the coffee mask, avocado and oats as well as charcoal. Each pot of face mask should be consumed within 6 months of being opened and can last around 10-12 applications dependant on how much is used, of course and they cost £4.99 each (bargain!) I hope you enjoy my reviews and let me know in the comments below which you would like to try! This was naturally the one I was first drawn to as I am a huge fan of charcoal masks. I was curious about what the scent of this mask would be like, as charcoal doesn't have the best smell, however I was pleasantly surprised. It's one I am finding hard to put into words for how it smells, but I believe it s a fruity scent and is a divine one at that. The mask dries quickly of you applying it, which is great for me as I somehow manage to get it everywhere. I left the mask on for around 15 minutes, and the mask was rock solid. I washed it off with warm water and my skin felt so moisturised. I am in love with that freshly washed off mask feeling where you skin feels like it's had a deep cleanse and this definitely achieved that. When I opened this mask I was first greeted with what smelt like to me chocolate, but once applied this smells of coffee. Like that fresh coffee bean smell you get in a coffee shop. 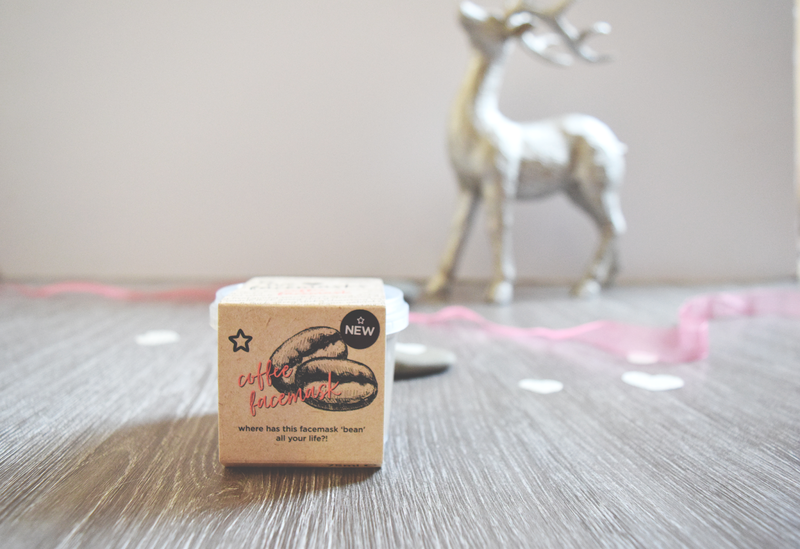 This was already a winner for me, once applying it on my skin it was more abrasive than the charcoal, however it has what I believe are crushed up coffee within which gives your skin some next level exfoliation. Again like the previous mask it quickly dried, but felt less heavy on the skin to me. This left my skin feeling gorgeous after, and I noticed the next morning it significantly removed some of the redness from my acne. The first thing I noticed about this mask is the amazing pun on the packaging which said A t(oat)ally marvellous creamy mixture. I am a huge fan of puns so this drew me in straight away. Out all of the scents this is my least favourite, this may be possibly down to the fact I do not like avocado. 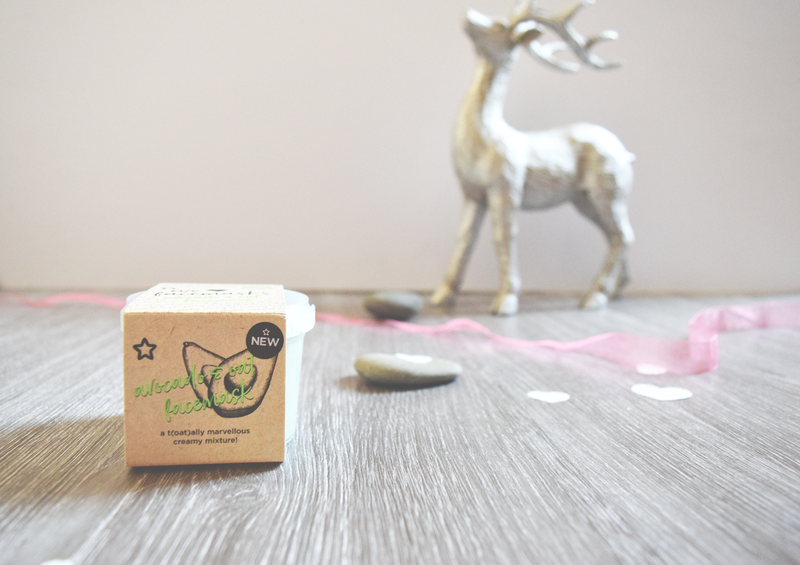 It has a fresh smell to it, similarly to Superdrug's cucumber mask. Apply this to my skin felt a lot lighter and dried like the others but felt a lot less tight on my face. It was an enjoyable mask to wear once I got passed the initial smell. This like the coffee mask had something' crumbled in it, which gave a gentle exfoliation which again helped my skin to clear up after a day or two. I would personally not purchase this one again the scent isn't for me, however it's totally 'blogger goals'. For only £4.99 you can't really go wrong! 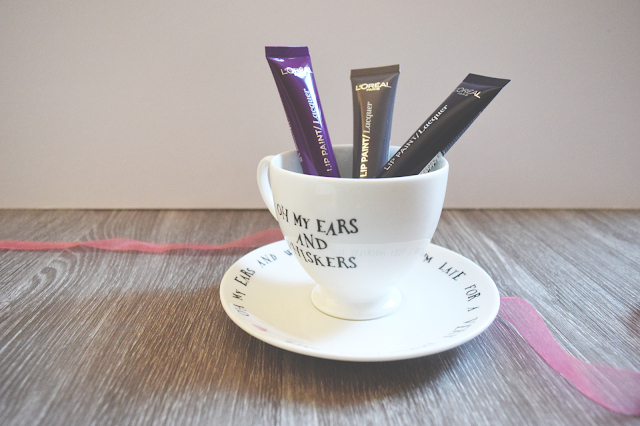 Recently I was sent a lovely parcel from L'oreal featuring some their new collection. I hadn't heard much about their new collections, however some of the pieces which I received were right up my street! (Hello dark lip colours galore) As most of you are aware, lip products are my favourite thing to have in my collection, so when I saw this parcel was primarily lip products, I was pretty happy! I also received a lovely glow kit and glow drops as well two of their brushes. Hopefully this review gives you some inspiration, especially with the darker lip colours, perfect for the months ahead. First thing I noticed was the Sapphire star lip gloss as it gives me some next level unicorn vibes. In the holographic collection there are 4 lip glosses and an out of this world glow kit. The lip glosses are £7.99 each and are exclusive to Superdrug. I was desperate to try out Sapphire star, I applied this and it wasn't as bright as I thought it was going to be, I did a couple of coats and it did build up, possibly not as much as I'd like but that's just me wanting to a create a bolder look with a bright blue lip gloss. This look is more subtle and you can see the glitter within the gloss and it does look holographic. Plus the packaging is lovely, I would probably layer this on to a matte lipstick to give it a bolder look. The product is moisturising to the lips and has an easy to apply applicator. Purple Nebula, Rose Delirium, Silver Supernova, Jupiter Green and Cosmic Blue. The first thing I noticed when I swatched this palette was how pigmented each shade is, the shades are designed to be a highlighter, however I feel like they'd work anywhere you fancy due to them being such a workable shades. Superdrug advises wetting your brush before application for a more intense highlight. I was most drawn to Rose Delirium as you can see the glitter shimmering and on the skin which is lush. All of the shades are fab for your collection and well worth the purchase of £12.99. As part of this collection I have the Glow drops as well as a metallic lip paint in a purple shade however I am unsure as to what the shade is actually called. So the glow drops to me were a new thing. I have tried a foundation in the similar format, however not a highlighter. I am in love with how little you need to use for an amazing glow, it is easy to blend and looks fab. I am crazy in love with anything metallic and purple lip colours as my go to. With this you can wear a more 'subtle' purple, however if you keep building on it, you can create a really deep shade. 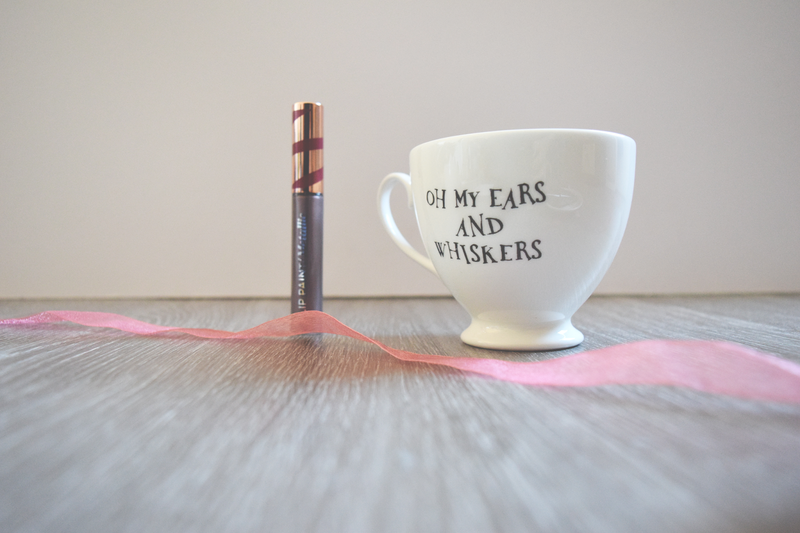 This has an easy applicator, and I found it to be long lasting and dries really quickly it is quite shimmery also, perfect for those Christmas parties! As soon as I spotted I had these in the shades Purple Panic, Smokey Grey and Bye, Felicia (Ha, love it) I was so excited to try them out. I am a regular wearer of purple as I am sure I have mentioned many times in this post, however this is quite a bright purple as opposed to a deep one. Bye, Felicia is hands down the best blue shade I ever worn, as well as it being long lasting and 'out there' and gets plenty of stares in the vets haha. I have never worn grey on my lips before, however this creates a bold statement look and isn't as daunting as I thought it would be. All of the lip lacquers feel moisturising and I didn't find there to be much bleeding, however it did end up on my teeth before it was dry, oops. These are £6.99 so reasonably priced and well worth it. I hope this enjoyed this post, and let me know what your favourite product is.